Time and place: Tuesdays 19:10--20:40, room 307. Announcement. 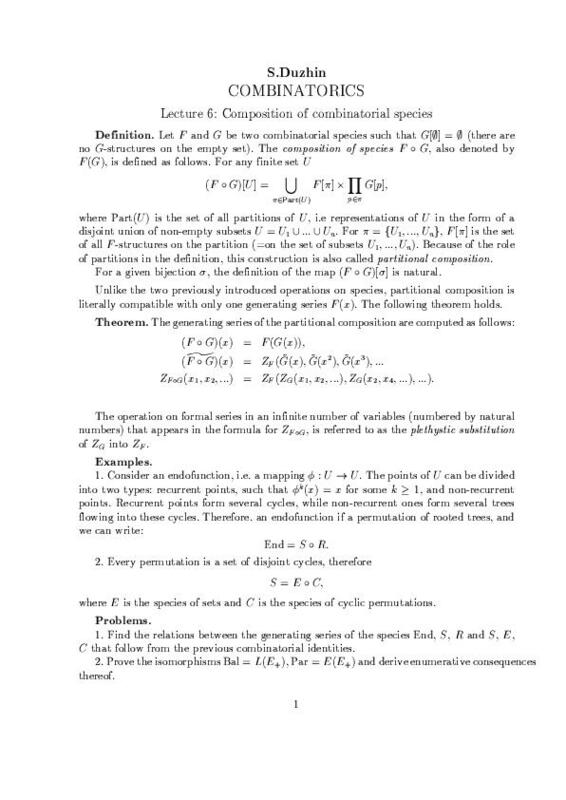 In Spring semester 2001, I am giving a course called "Combinatorics of the symmetric group". See the corresponding page. List of listeners: Russian, English. Lecture 1 (12-Sep-00). 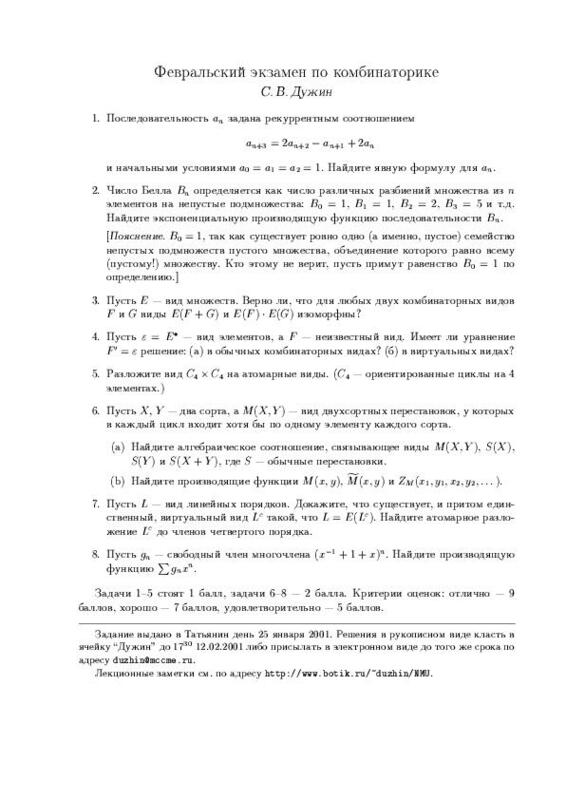 Recurrence relations (Russian): GIF (for viewing), PostScript (for printing). Lecture 2 (19-Sep-00). 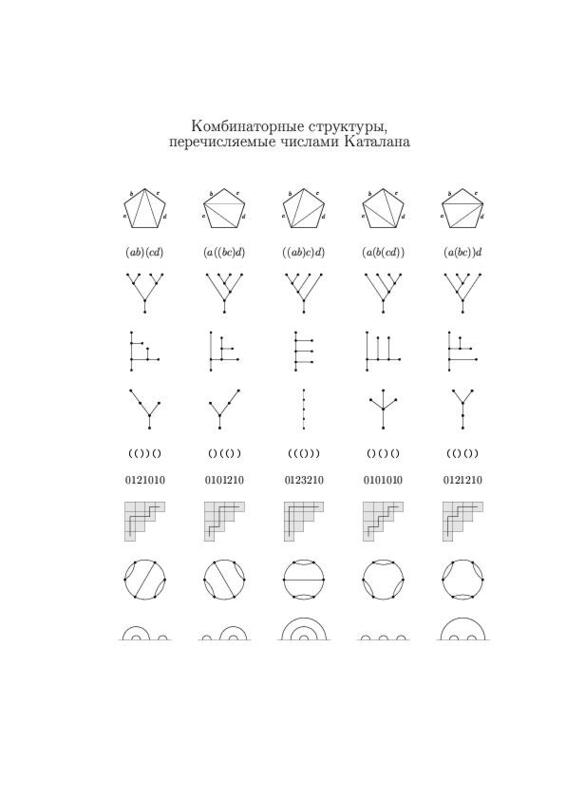 Catalan numbers (Russian): JPG (for viewing), PostScript (for printing). Lecture 4 (03-Oct-00). 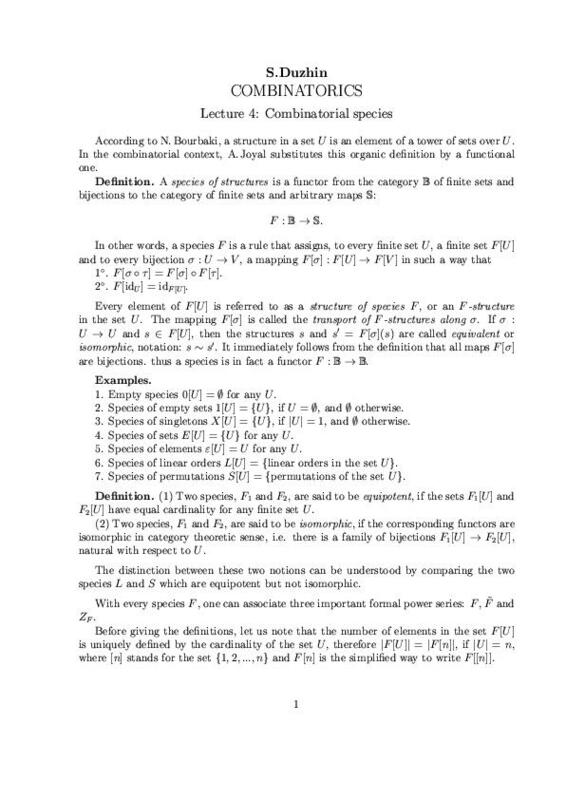 Combinatorial species: definition and examples (English). PostScript, JPEG (page 1), JPEG (page 2). Lecture 5 (10-Oct-00). 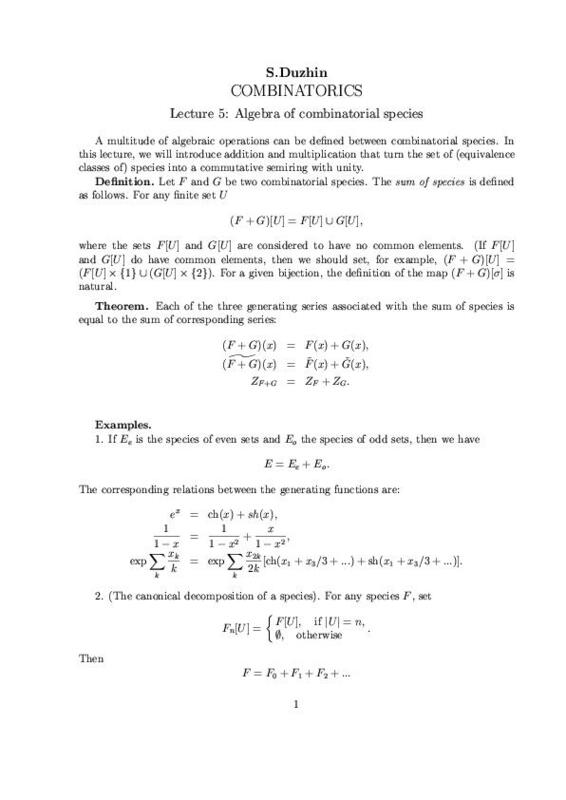 Algebra of combinatorial species: addition, multiplication. (English). PostScript, JPEG (page 1), JPEG (page 2). Lecture 6 (17-Oct-00). 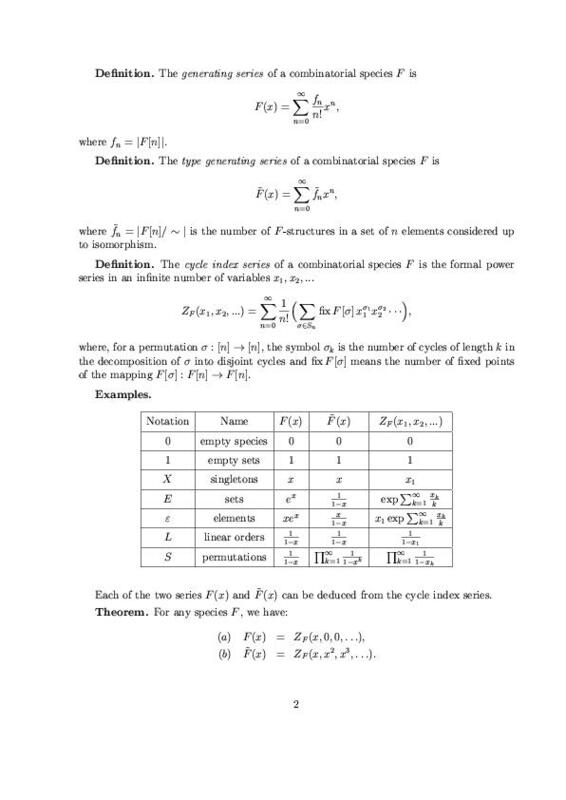 Partitional composition of combinatorial species. (English). PostScript, JPEG. Lecture 7 (24-Oct-00). 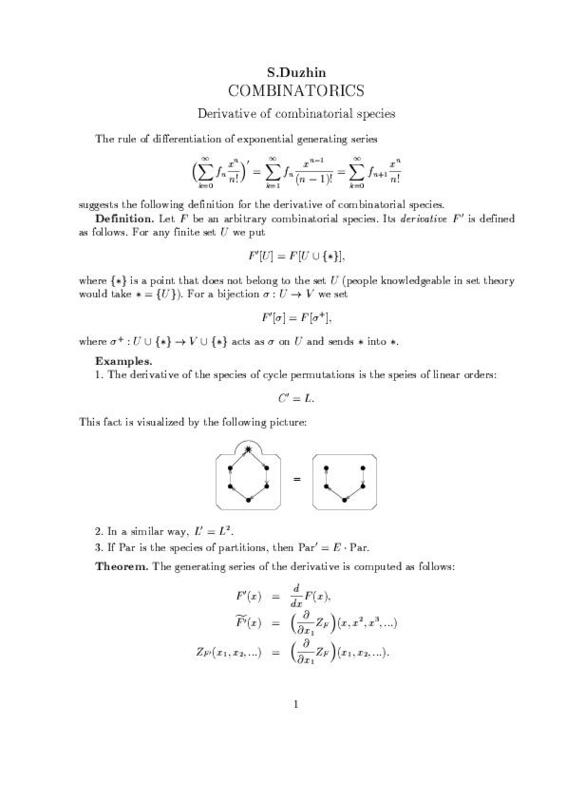 Derivative (PostScript, JPEG: page 1, page 2) and pointing of combinatorial species. Lecture 8 (31-Oct-00). 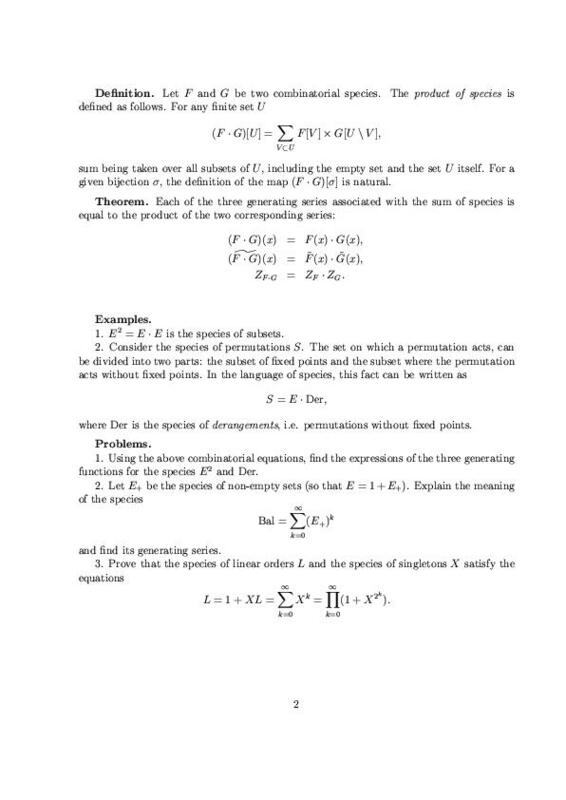 Cartesian and functorial composition of combinatorial species. 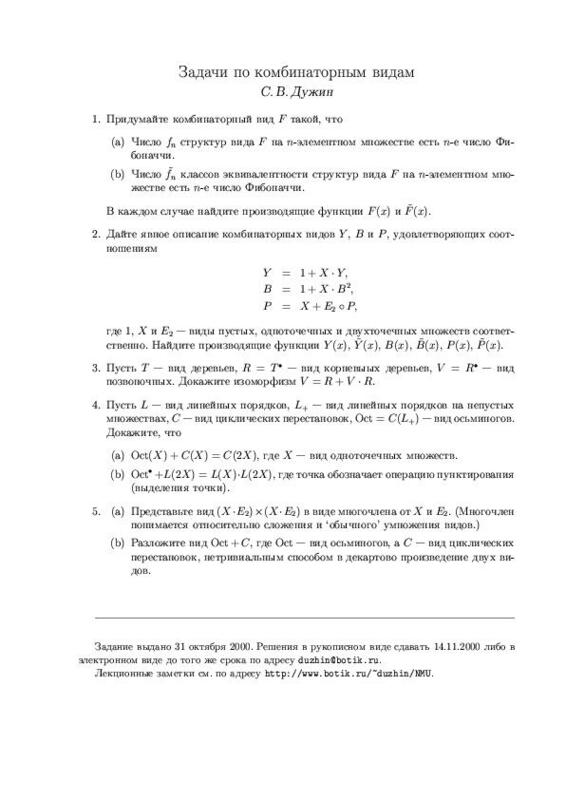 TEST problems (in Russian, proposed on 31.10.2000, due on 14.11.2000): LaTeX source, gzipped PostScript, graphics (JPEG). 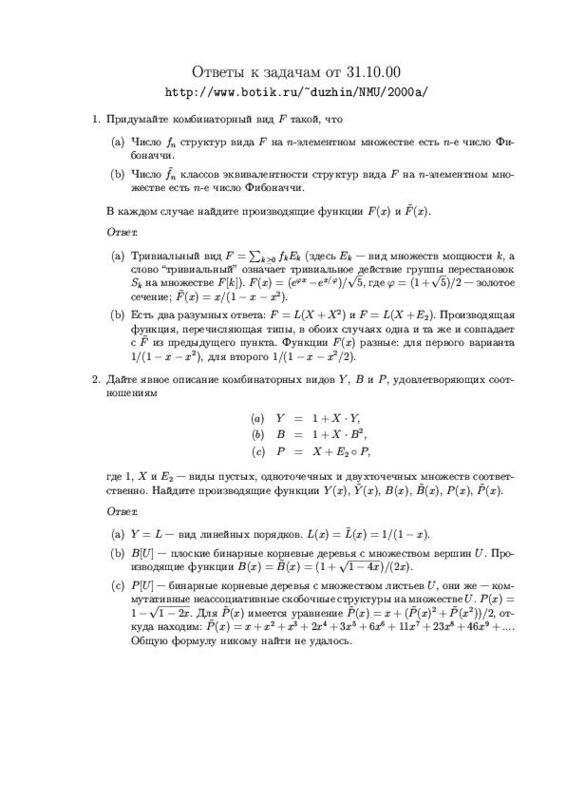 SOLUTIONS to TEST problems (in Russian): LaTeX source, gzipped PostScript, JPEG graphics: page 1. page 2. Lecture 9 (14-Nov-00). The ring of virtual species. gzipped PostScript (updated! 25-Nov-00). 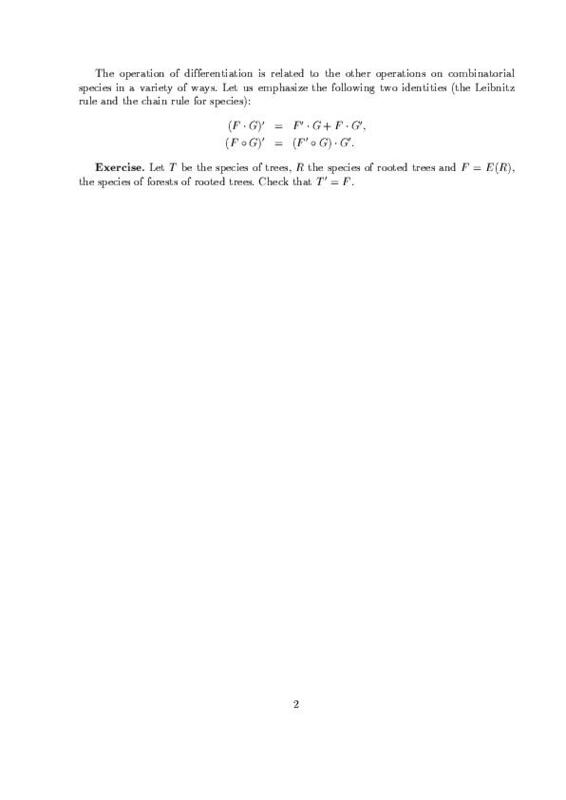 Lecture 11 (28-Nov-00). Molecules and atoms. Lecture 12 (5-Dec-00). Lagrange inversion. Otter's formula. 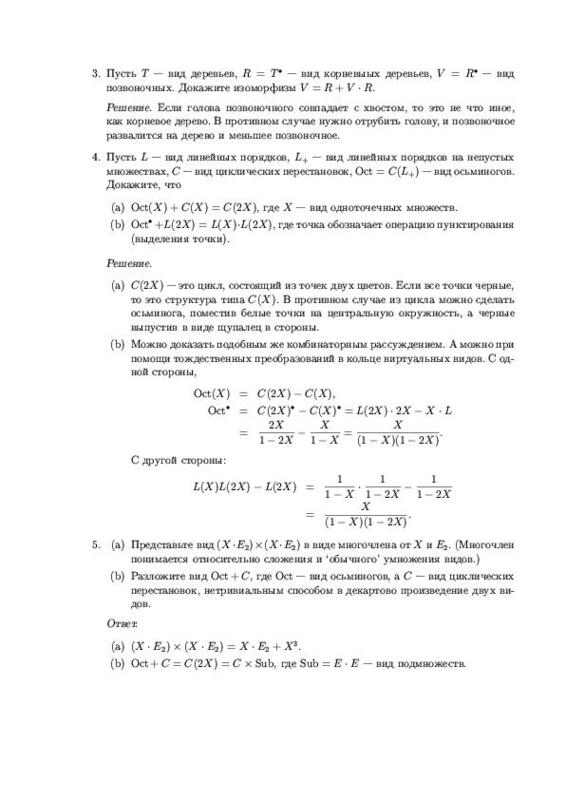 LaTeX source (zip), gzipped PostScript, graphics (JPEG).